A formulaic approach to a contrived plot, second rate animation, no character development. Yes. they're all school girls at an exclusive academy with special weapons and powers; they're all cute with different colored hair, and super friendly. They're all rookies, who get saved their first day on patrol by the "professionals". The teacher has Excalibur for some unexplained reason. They fight extradimensional monsters with no interesting characteristics. The animation smooth, but dry with nothing interesting to see; there is virtually no character development. It even starts with the obligatory shower scene. There is nothing that makes this anime stand out for any reason. The writing in this anime is crap, the authors really need to step up their game. 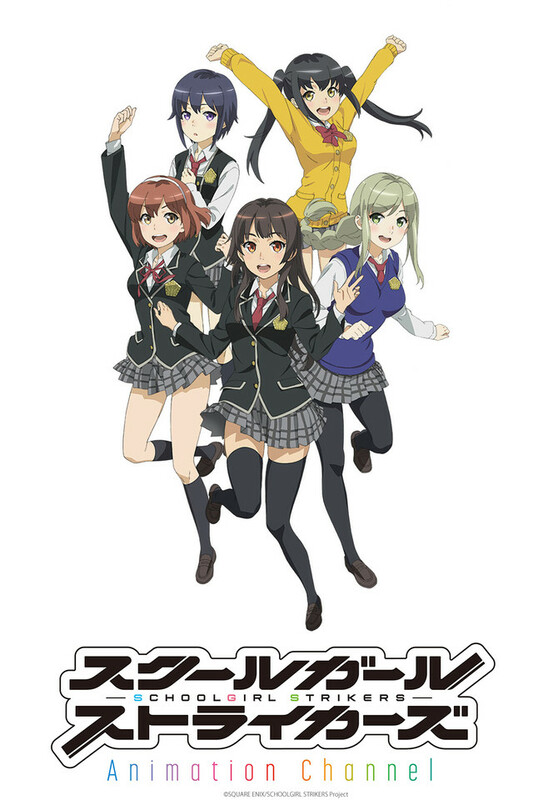 Schoolgirl Strikers tells the story of a group of girls who are part of a special unit called fifth force. Fifth force is assigned with fighting these monsters called Oburi in an alternate world that come from another dimension. To recruit girls into fifth force there is an academy called Goryoukan Academy that acts as a place to scout out potential talent. Our main character is Tsubame Miyama and she along with her friends are part of a newly form squad. Since this is a review of the first episode I do not want to spoil too much of the episode and this is all I will say on the main story. I will say though that it appears most of the anime will take place at the head quarters of fifth force, the academy, and in the alternate world. I would like to say what you will find in this anime and hopefully help you decide if you would like to watch the first episode. You will find cute girls with lovable personalities, magical girl transformations and battles, and some school life scenes. Although the girls fill all the expected archetypes, they were all likable. I should warn though that this isn't one of the those cute magical girl anime, it is more serious. I gave this first episode 3 stars because I enjoy the characters (I'm a huge fan of the design of the main character), the battle scenes were decent, and it was good enough that I will be checking out episode 2. Nothing special about this first episode, but nothing too terrible either. Why do these shows get funded? This show is pretty terrible. It's the standard "Hi, here are girls dressed in somewhat slutty outfits doing cutesy things with no real plot or interesting hook". I guess these get funded to get middle school boys excited? I don't get it. This show has no real plot, it's really about having a bunch of different looking, similarly proportioned girls dress in ridiculous outfits, go into what looks like a crappy VR sim, and shoot children's drawings.One girl is missing her memories, which will probably be some staid plot point later in the show, and the rest appear to be failures at VR gaming. Only thing they are missing from their team is the OP person who destroys all. No real reason to watch this show unless all you want are girls in tight outfits running around and doing cutesy school things all day. ZZZZZZZZZZZzzzzzzzzzz. Too bad Japan can't put more money into real shows. Yes, the first 2 episodes were a bit like a shock. It's too new with some proven concepts with a totally fresh setup. Many questions are open, but the plot let enough room for some serious story twists. The mysterious teams, the unusual school, and Coconut Vega's past. The cute, yet puzzling main char, and the unknown Moshu-chan. And on the other side the unexplained enemies. And then there is Sumihara Satoka. So cute. This all has a great potential, I can't wait to see more of this new series.